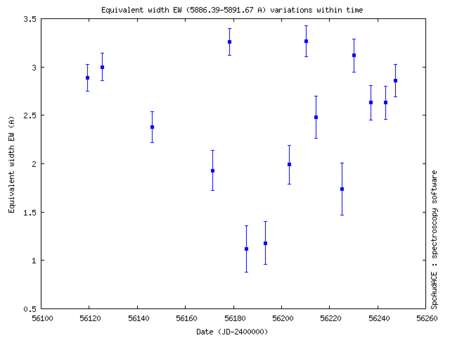 Centered on h alpha (6502A-6608A) taken on August 13.06, with a LhiresIII spectrograph, 2400gr/mm, R=15000, disp 0,16A/pix, attached to a 0,212m f10 cassegrain reflector. 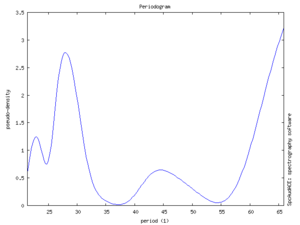 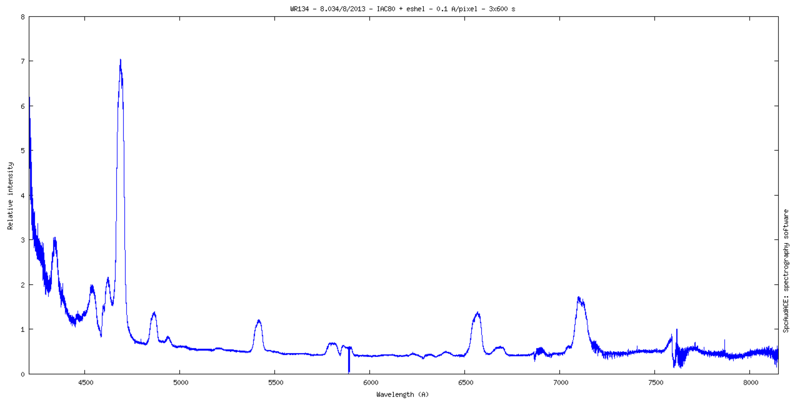 Calibration has been done on a spectra of an internal neon lamp. 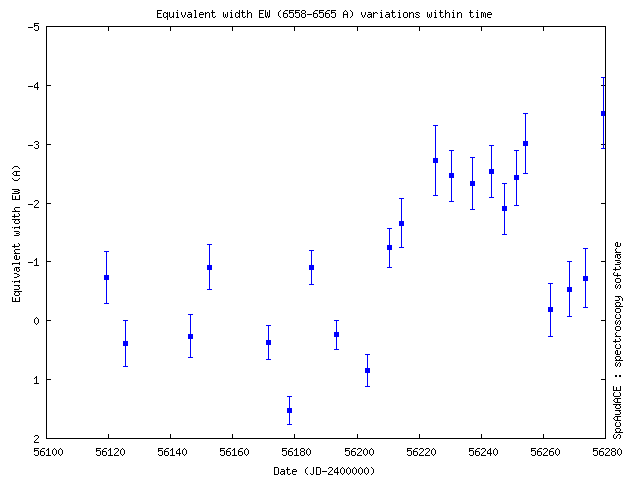 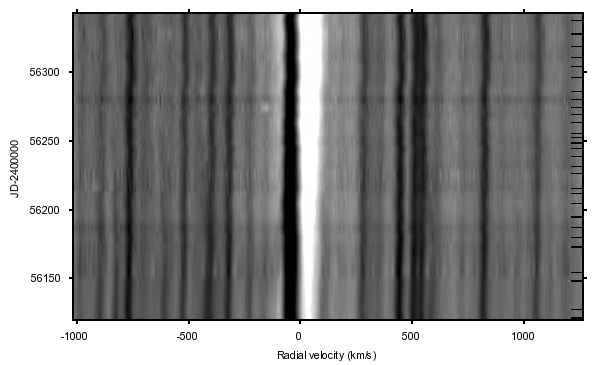 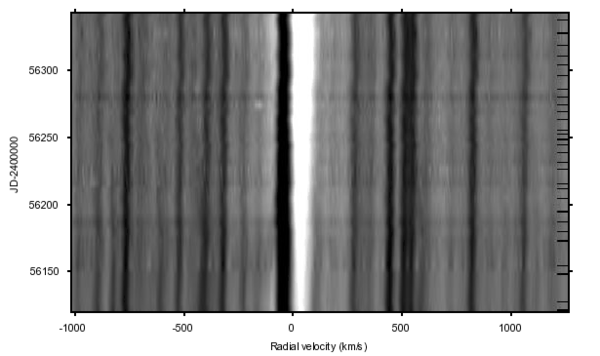 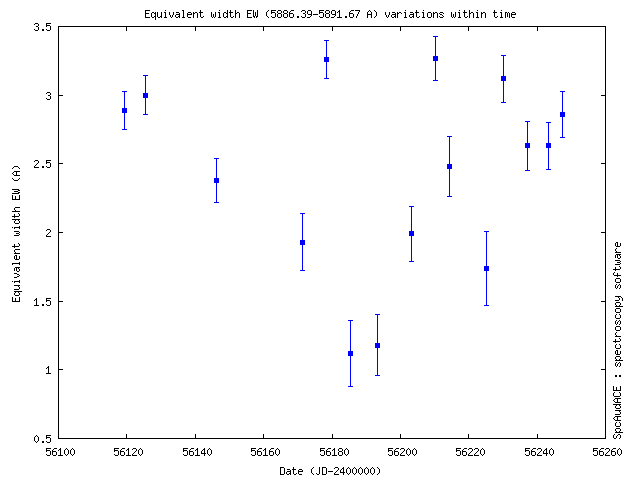 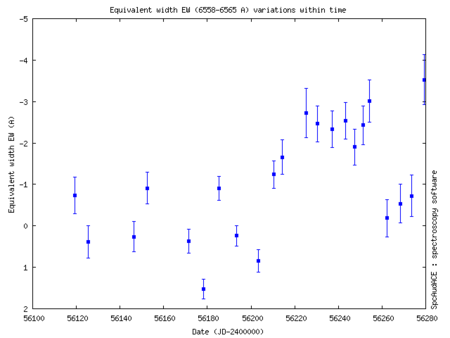 Standart pre processing applied, instrumental response corrected with a spectra of Vega. 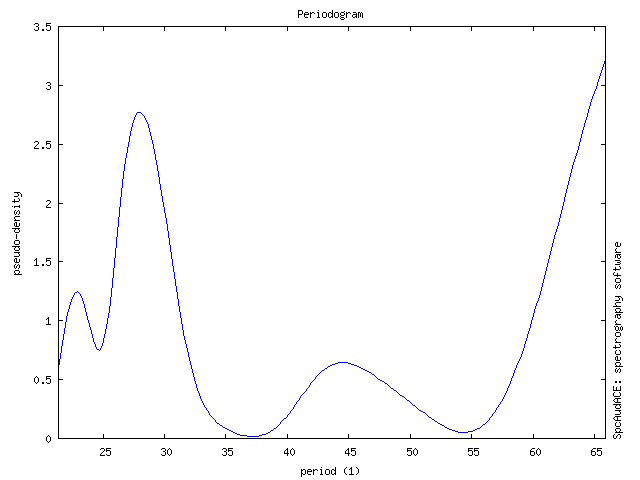 not normalized. 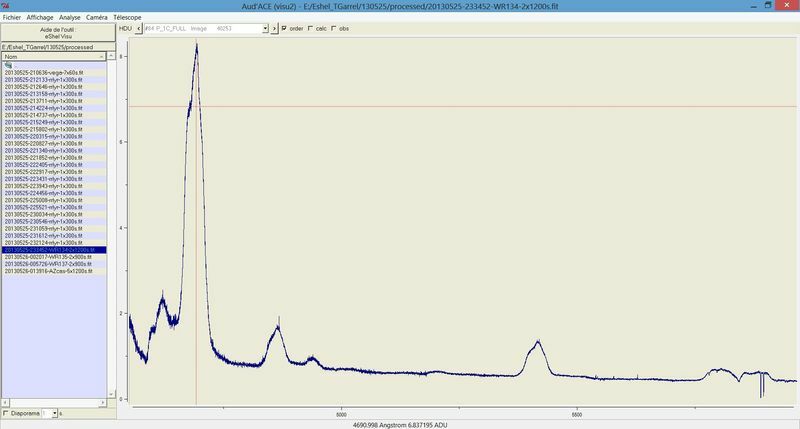 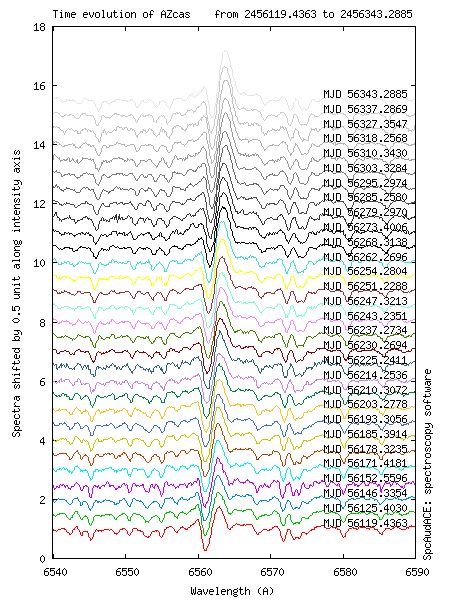 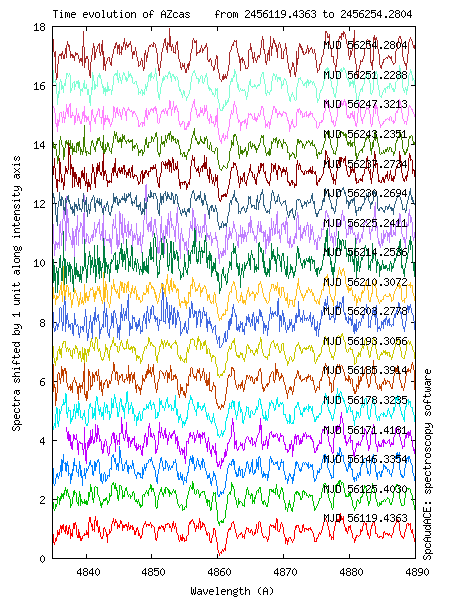 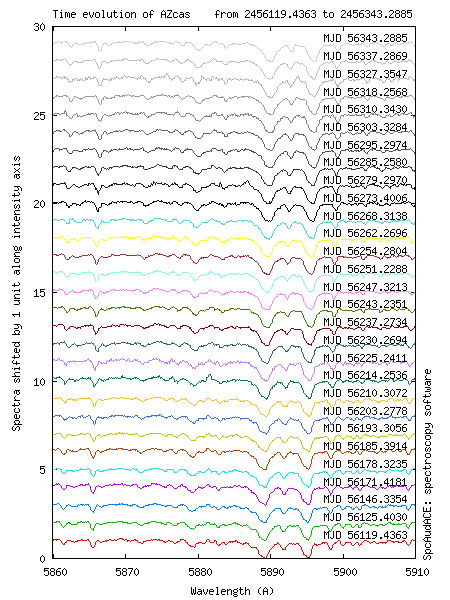 Very nice set of spectra you have there showing the evolution of the Halpha line.